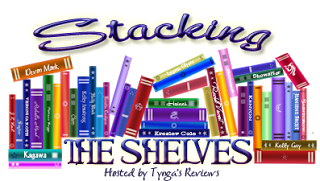 Laurie Here - Contemporary Fiction and MORE - Book Reviews: #StackingtheShelves #48! Plus blog updates and week's end for 8-27-16! #StackingtheShelves #48! Plus blog updates and week's end for 8-27-16! I hope you had a GREAT week this last one! I'm sorry this post is so late, and it will be vert short, but Friday night I had severe muscle spasms set in, they lasted ALL day Saturday and slightly into this morning, much more so in my legs with a small burn in my entire back but the back is not in 'full' spasms, thankfully! Since this is still ongoing for me, I can't write this post like I normally do, and it took 3 days to get it this far, so I am going to leave getting around here at the blog all up to you this week. Please see my ARCHIVES for the latest review I did. Also for Giveaways, look in the LEFT side column. I need to get some books from the publishers to off them up for Giveaway for you, and they will mail them to you!! I PROMISE to work on that!! They are usually more than willing to do that! I will work on this because it's been a LONG while since we've had some book giveaways! Okay! I'll work on that! NO NEW BOOKS this week, at least not books you would like! LOL! I did find some older books, the free ones - see I can't "think" with these THINGS (spasms)! Ugh. This is NOT FUN!!! They have even got my upper arms - I'm having a hard time reaching the keys on this Sony computer they put the keyboard so far up on the computer. I don't like that about this. The books were OLD books they put into ebook format - we'll talk about that next week. Yes, I am still struggling with these muscle spasms today, the more I am trying to type, the more I am having difficulty. I will talk to you on the next post! YES! The Jennifer Weiner book, "Who Do You Love" IS coming this week, I PROMISE! This week I have one new release review off the top of my head, and I will have reviews for the 6th, too! Sorry this took SOOOOOOOO long to get this post done, and I'll see you soon!